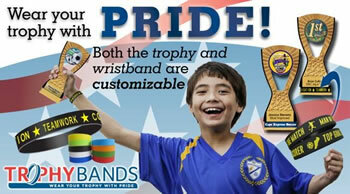 Large variety of styles & sizes available, including Metal or Plastic - engraved, full color, domed or framed name badges! Rush Service available, no minimums. Custom Name Badges available with your choice of the following attachments: Magnet back; Alligator Clip; Safety Pin; or Military Clutch! 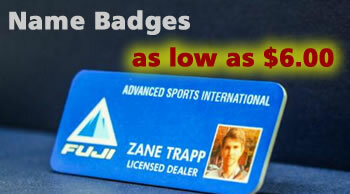 Custom full color printed name badges with no minimums. FREE Name Badge mock-ups. If you do not see a style that you were looking for, please contact us and we'll manufacture it for you!